Law Firm is Adobe Muse Website Template for Law, Legal Office and Attorney. It is a highly customizable with simple, ultra clean and modern look. You can edit this Template easily, without writing a single line of code. It has a lot of cool features like Responsive Layout, Awesome CSS Animations, Awesome Onepage look, Fullscreen Lightbox Menu Pro, Back to Top widget, Animated Counters Widget and lot more. This theme will help you build great, high-performance website in just few minutes. Professional and unique design makes item more attractive and useful. This template is able to fit all kind of law firm companies. Easy to customize and implement elements. You can change colors, texts, objects or replace the images in a few very easy steps. We chose stylish typography and made warm and professional looking design that gives you the best possible presentation of your business. Law-Firm will help you build impressive, beautiful business website in minutes, without touching a line of code. Don’t waste time on coding, time has come to create your own website easily. Law Firm – Professional looking theme perfect for your law & attorney business. 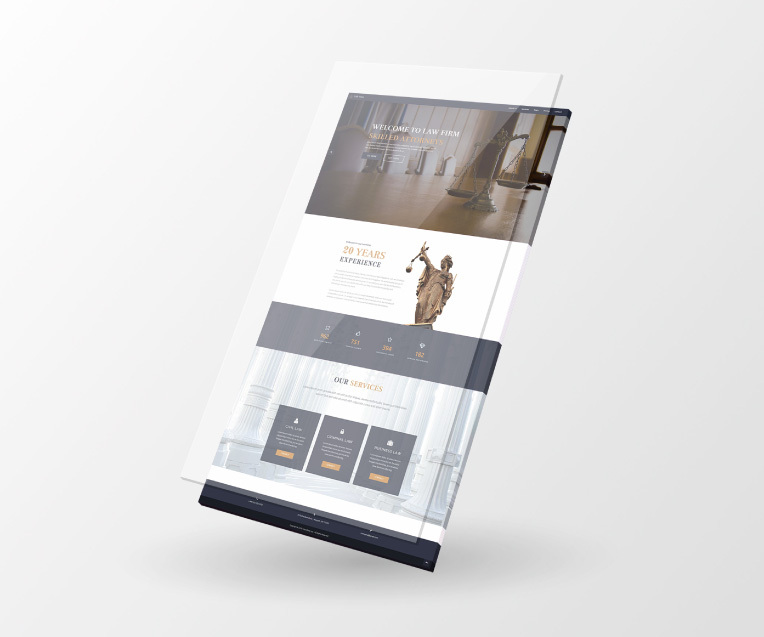 Law Firm is Adobe Muse Website Template for Law, Legal Office and Attorney. It is a highly customizable with simple, ultra clean and modern look. You can edit this Template easily, without writing a single line of code. It has a lot of cool features like Responsive Layout, Awesome CSS Animations, Awesome Onepage look, Fullscreen Lightbox Menu Pro, Back to Top widget, Animated Counters Widget and lot more. This theme will help you build great, high-performance website in just few minutes.